Vidalia onion is the original variety of sweet onions grown in Georgia sandy land. Vidalia onion is sweet flavored onions due to lack of abundance of sulfur in them. The low amount of sulfur makes them sweet in taste. You can use Vidalia onion if you are not tolerating tears in your eyes due to other varieties of onions. There will be no more tears in your eyes with the use of Vidalia onion. These onions are not hot and pungent; they are sweet because Georgia soil lacks sulfur content. It makes them sweet flavored onions. Why these onions are known as Vidalia onion? It is just because of the growing place. Vidalia is a region on Georgia where Vidalia onions are grown. Vidalia is also known as sweet onion city. The production of Vidalia onions started in 1930s in Vidalia City of Georgia. Farmers had tried with many crops from corn to cotton, but these were not giving them promising benefits. They had a hope from sweet onions, a new crop for them. They started growing Vidalia onions and got fame for the production of these onions. Now, Vidalia onion is main crop of Georgia. There is Vidalia Onion Act of 1986 passed under the Georgia’s state law for the Vidalia Onions trademark. This act also limits the production area in the Georgia. Yellow granex hybrid seeds can grow in Georgia and become sweet. Onions produced from these seeds only become sweet in Georgia region. If they are grown somewhere else, they will not become sweet. This is the amazing fact. What is the cause of sweetness in Vidalia Onions? Sandy soil of Georgia washes away sulfur to the clay present underneath the sandy oil, so sulfur is decreased from the sandy oil. Sulfur is responsible for pungent and hot taste of onions. Low level of sulfur makes onions sweeter as compared to other onions grown on other places. The rain in South Georgia helps to leach out sulfur from the sandy oil. The high water content of Vidalia onions is also another cause of unique flavors of Vidalia onions. Vidalia onions seeds only grow in winter season. The rainwater also assures the high water content of onion bulbs. Lack of sulfur makes Vidalia onions less irritating for eyes, but it also deprives its benefits in the skin. The sulfur is the main reason of the benefits that make onions beneficial food in skin diseases. 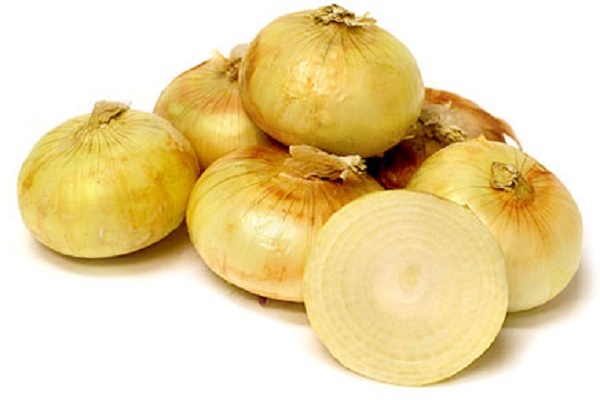 Vidalia onions are very helpful for sleeplessness. Its juice causes a person to fall asleep. You can take 4 teaspoon of Vidalia onion juice. It is safe and effective home remedy for insomnia. Vidalia onion is a good source of vitamin C, which acts as a potent antioxidant. Further, the quercitin present in onions helps to fight off cancer cells and beneficial in osteoporosis. Cancer occurrence rate 20 to 30 percent lower in people using Vidalia onions. In Georgia, cancer occurrence rate is half as compared to other regions. Onions help in cancer and cancer is 40 percent lower in people in India and China using onions in their meal twice a day. Vidalia onions are healthy foods for heart. They lack sodium and cholesterol. They also contain some heart friendly flavonoids, which make them good food for the heart. Vidalia onion contains substances, which maintain the health of connective tissues. They keep bone healthy and prevent osteoporosis and other bone related diseases. There are no side effects reported with the use of Vidalia onions.